Our Metropolitan Area Network Demonstration Kit utilizes the latest IPv6 Mesh technologies and enables the Smart City of the future. This kit was built around a Smart Objects modem and IPv6 stack from Nivis based on the Kinetis K60 and the MC12311 sub-GHz radio. 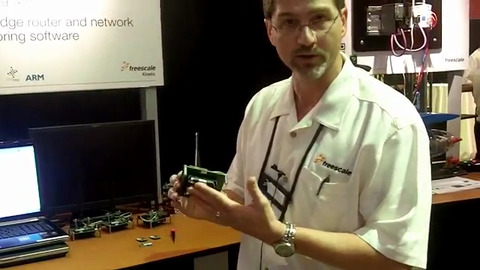 In this demo the Power PC P1025 Tower board acts as a Data Concentrator/Edge Router, gathering information from several battery powered wireless Smart Object end nodes—all managed via a Nivis’s Network Manager Software.